At WPI learning has always been about combining theory and practice. WPI graduates emerge ready to take on critical challenges in science and technology, knowing how their work can impact society and improve the quality of life. 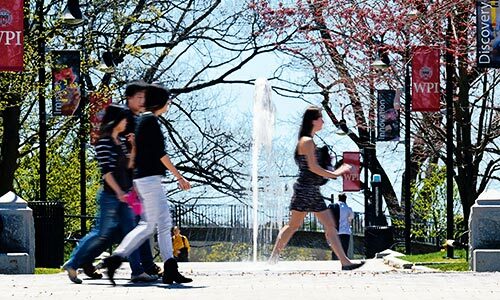 WPI's academic departments offer undergraduate and graduate degree programs in science, engineering, technology, business and management, the social sciences, and the humanities and arts, leading to the BA, BS, MS, ME, MBA and PhD. 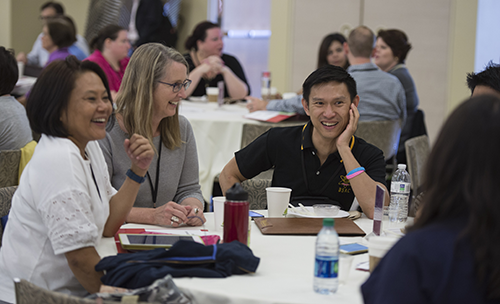 Our world-class faculty is both renowned and accomplished--and they are accessible, priding themselves on the quality time they invest in their students. While our foundation has held firm, we pride ourselves on continuing to modernize the curriculum and our teaching practices. The prestigious 2016 Bernard M. Gordon Prize for Innovation in Engineering and Technology Education is a nod both to our history and to our future, recognizing WPI’s project-based curriculum developing leadership, innovative problem-solving, interdisciplinary collaboration, and global competencies. Arguably every student who attends WPI learns to think like an engineer; these days there is just as much attention to assuring our students think like entrepreneurs. The sciences and humanities and arts are integral to WPI undergraduate and graduate academics, research projects, and culture. Since our founding, WPI has launched the careers of countless innovators and entrepreneurs who make an impact in business. The engineering and entrepreneurial mindsets intersect at WPI, where people and programs focus on breaking new ground. The Center for Project-based Learning at WPI provides support to faculty and administrators across higher education who are aiming to advance project-based learning on their campus. At the same time, the Center works with WPI faculty and staff to continue to advance this proven pedagogy on our own campus. WPI’s Corporate and Professional Education (CPE) specializes in helping working professionals achieve their educational goals.